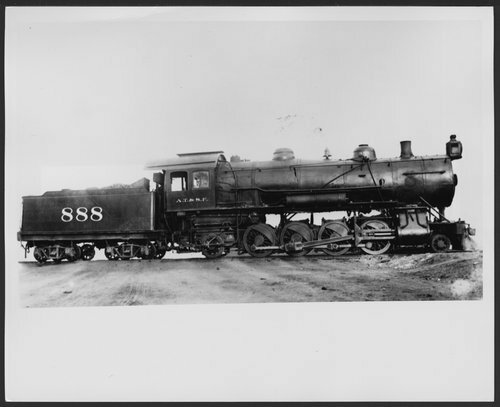 This black and white photograph shows the Atchison, Topeka & Santa Fe Railway Company's steam locomotive #888-815 class, Mikado, 2-8-2 type. Built in 1902 by the Baldwin Locomotive Works of Philadelphia, Pennsylvania for freight and helper service on mountain terrain and switch services. The engine was originally equipped with Vauclain compound cylinders.